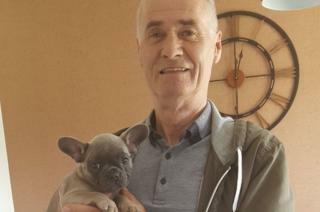 A man has been charged with death by dangerous driving after a Teesside grandfather was knocked down. John Byrne, 69, was struck by a Skoda Octavia on Ormesby Road in Middlesbrough, near Ormesby Grange Care Home, on 26 May last year. Cleveland Police said a 29-year-old local man had been charged with causing death by dangerous driving. He is due to appear at Teesside Magistrates' Court on 4 March. At the time of his death, Mr Byrne's family described the father-of-three as a "hard-working Middlesbrough fan with a heart of gold".